Keep Wildlife in the Wild and Out of Your Home with The Bug Man Inc! | The Bug Man, Inc.
Eureka! You’ve found the answer: The Bug Man Inc®. One click on the “contact us” tab, and you’re in business. You enter your contact information, and rest easy knowing that help will soon be on the way. Wildlife can cause damage to a home’s insulation and wires and leave behind disease-laden waste that can harm you or your family. And if they’ve found their way into your attic, it’s only a matter of time before they find their way into your living space as well. So, addressing the issue as soon as possible is very important. Whether your home requires wildlife control — such as the removal of raccoons, skunks, bats, or squirrels — or bird removal from the attic, our team of professionals will address the problem efficiently, skillfully and quickly. We use humane traps to secure and remove birds and animals and relocate them far from your home. We also offer removal of bat guano and bird droppings from your home. We are family owned, and our customers benefit from our decades of experience. We guarantee our results and take pride in partnering with you to help protect your family and your home. 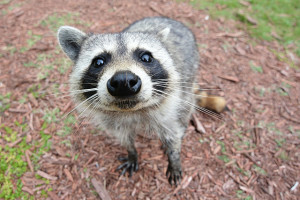 Not only will we remove uninvited animals, we can help make your home rodent and pest proof. We also offer year-round pest and insect management and more. To schedule a no-cost, no-obligation inspection and estimate, contact The Bug Man, Inc.® online at this link, or give us a call at (501) 663-9464 if you have any questions. Don’t let the great outdoors ruin your indoors. Call The Bug Man today! This entry was posted	on Tuesday, April 11th, 2017 at 6:48 pm	and is filed under Animal Control. You can follow any responses to this entry through the RSS 2.0 feed. You can skip to the end and leave a response. Pinging is currently not allowed.